"Pink Daisies" Too digital paper pack walks you through a little more choice when choosing the perfect background paper for your scrapbook layouts or cards. There's a "Daisy Peach" background paper that may be perfect or perhaps the "Eyelet Pink" is just what fits what you were thinking of creating! These background papers are NOT included in the ELS "Pink Daisies" Collection, so please don't miss out! 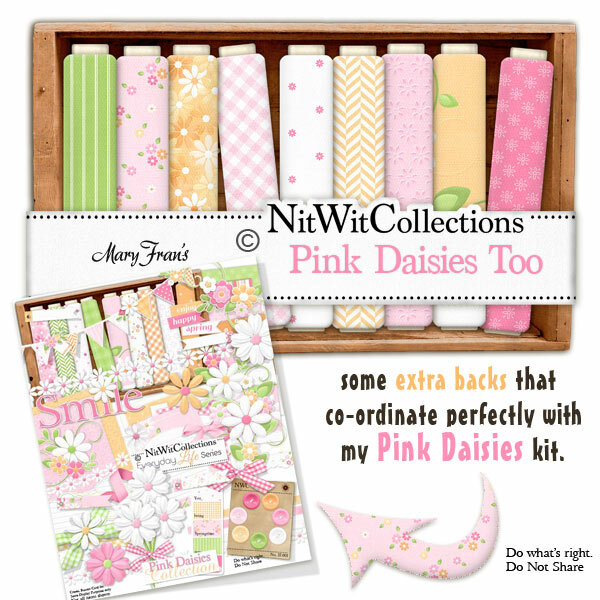 16 Digital background papers that coordinate and colour match my ELS "Pink Daisies" Collection.